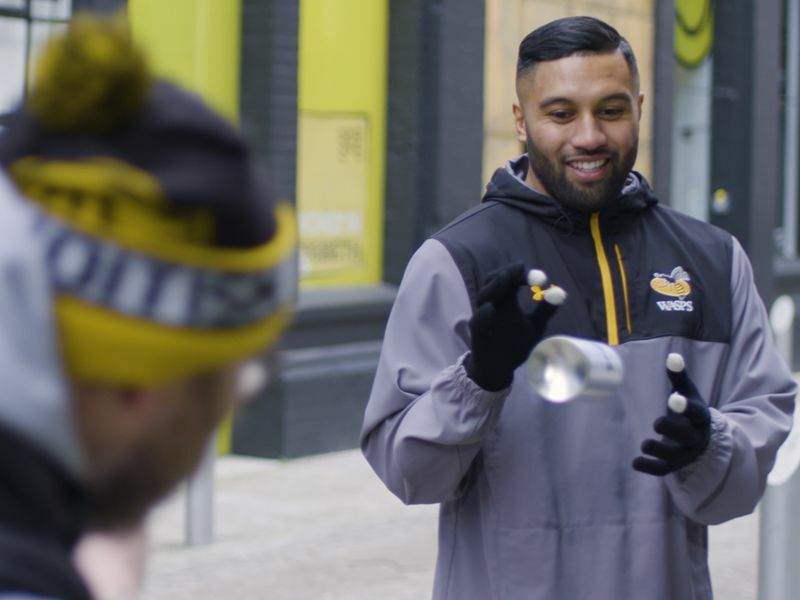 What does the talented fly-half Lima Sopoaga, the midlands leading video agency Tinker Taylor, local graffiti artist Panda from Graffiti Artist, and the urban beauty that is the Custard Factory have in common? 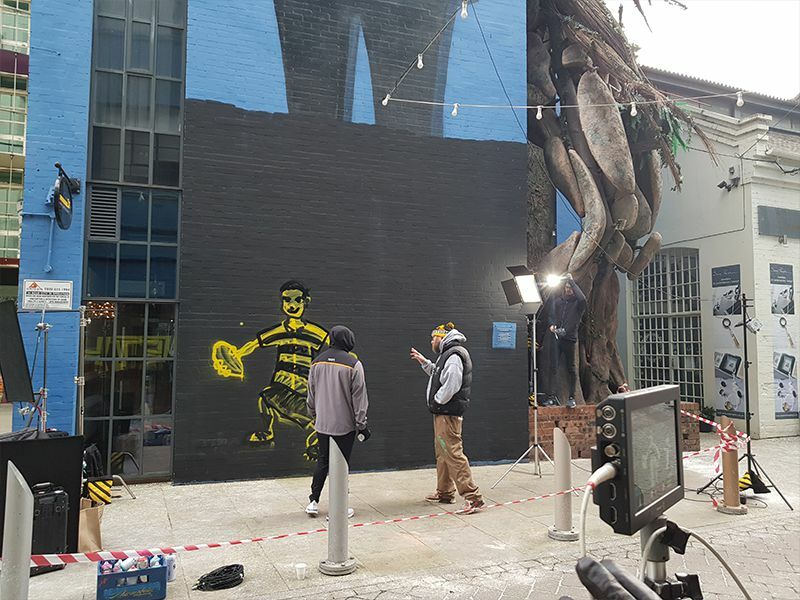 Our latest video which successfully highlights the incredible talent we have here in Digbeth, the fantastic surroundings we have within short reach of our studio, and most significantly the sponsorship between Wasps star and ourselves here at Tinker Taylor under the hashtag #MakeYourMark. The graffiti symbolises just how big a player Lima is – he is one of the most exciting fly halves in the world at the minute, and he is going to be a massive player both for Wasps and the English domestic game over the coming years. We first teamed up with Wasps three years ago, and have recently sponsored Sopoaga in his first season of top-flight rugby in the UK. In previous years Sopoaga has been an integral part of the New Zealand All Blacks line-up, scoring 12 points in his debut match against South Africa and going on to appear a further 15 times for the Kiwi’s national team. Tinker Taylor have been working with Wasps for several years. We produced their STEAK corporate hospitality package video, and have enjoyed the opportunity to attend numerous networking events and corporate hospitality events (which our clients absolutely love!). It’s been an eye-opening six months for me and my young family moving to a new country and experiencing a new culture, but I’ve come to this country to show everybody what I can do on the pitch, and that’s what this street art signifies – me making my mark. 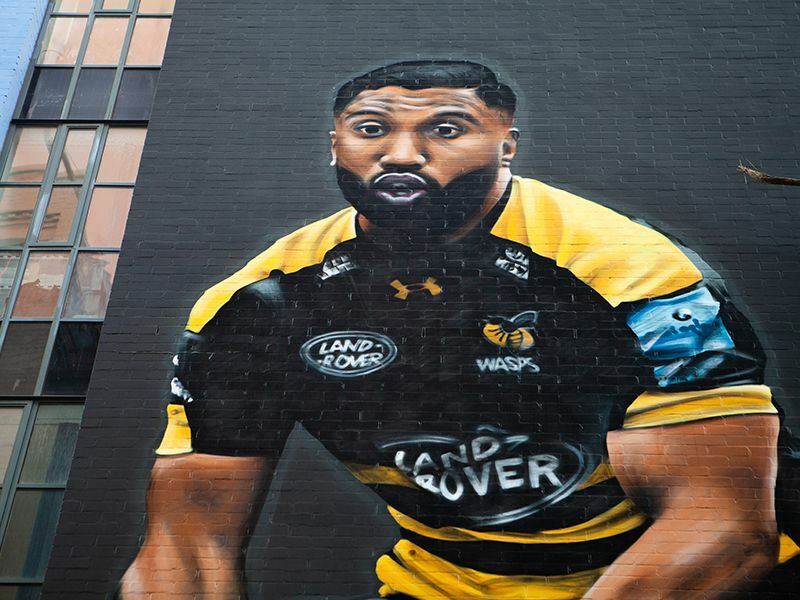 The 10 metre wall mural of the player, who has contributed more than 110 points to Wasps’ so far this season, can be found just down the road from the Tinker Taylor studios in the heart 0f Digbeths’ Custard Factory estate, and was the brain child of our Creative Director and Junior Rugby Coach at Camp Hill RFC; Sam Taylor. For Sam, the tie-up between our video content agency and Sopoaga could not be better aligned as whether you’re a film-maker or a rugby player, it’s all about loving what you do and giving it everything you’ve got, and both do just that. Having won a coveted RTS award and a Gold/Chairman’s Award at the Drum Awards for a hard-hitting awareness campaign for the Police Service of Northern Ireland, Tinker Taylor are a prime example of loving what we do, and creating award winning content as a result of that passion. Tinker Taylor is a multi award-winning video content agency, based at Fazeley Studios, Digbeth – the heart of Birmingham’s Creative Quarter. The agency produces high-end content for multiple platforms including TV, cinema, digital, events and video-books. Its focus is on generating an outstanding return on investment for a diverse range of clients including the NHS, Seven Capital, Aston University, Selco and Demalogica. Let’s chat about how our video marketing agency can get help you make your mark? Explore your options and see how video can work for you.